Karma is defined as "a movement of the mind.” And really, any insight or change we would ever want to make originates in the mind. Learn how the smallest building blocks of the mind, karma, function. This simple knowledge will help you make any changes that you’d like from simple goals to spiritual goals. 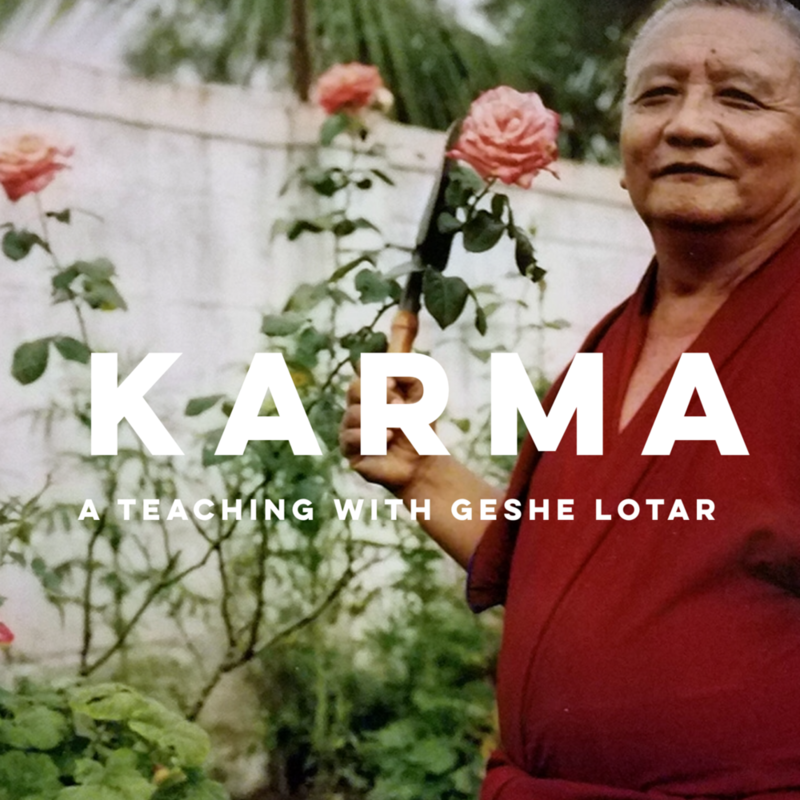 Master Teacher, Geshe Lotar has trained in the teachings on karma for decades and has mentored and raised over 100 monks. Geshe Lotar is the former vice abbot of Sera Mey Monastery, where he has trained as a monk since 1949. He is the nephew of Khen Rinpoche Geshe Lobsang Tharchin, and was instrumental in the safe passage of Rinpoche from Tibet to India during the Chinese invasion. Geshe Lotar faithfully served his lama for decades, and is currently raising Rinpoche’s reincarnation. As a house master at Sera Mey, he has mentored and raised more than 100 young monks.